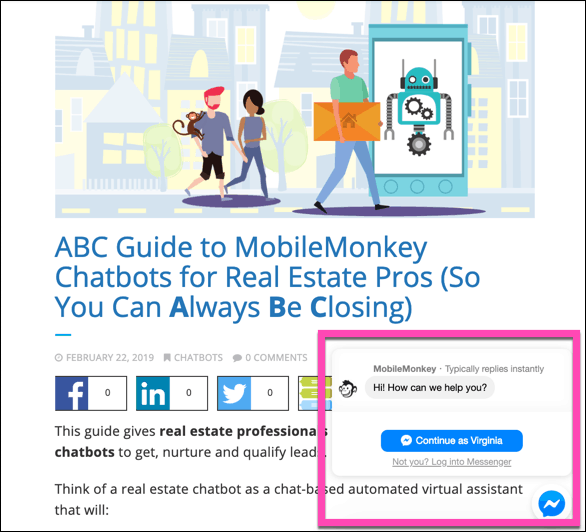 This guide gives real estate professionals all the tools needed to use chatbots to get, nurture and qualify leads. Save you time so you close more deals! As a busy, full-time real estate professional, I don’t have time to answer every single message that’s sent to me because I’m in meetings, or I’m on listing appointments or I’m selling homes or I’m in closings. I don’t know why I didn’t think about this before but this is going to save me a lot of time. It’s also going to vet prospective sellers and buyers and make sure I’m getting really good leads so I can spend my time focusing on people who are ready to roll. This is a game changer for me. Thanks to MobileMonkey user Chris Galvan for sharing the exciting unveiling of the bot he built for his brother’s real estate business! Want to know an amazing secret? 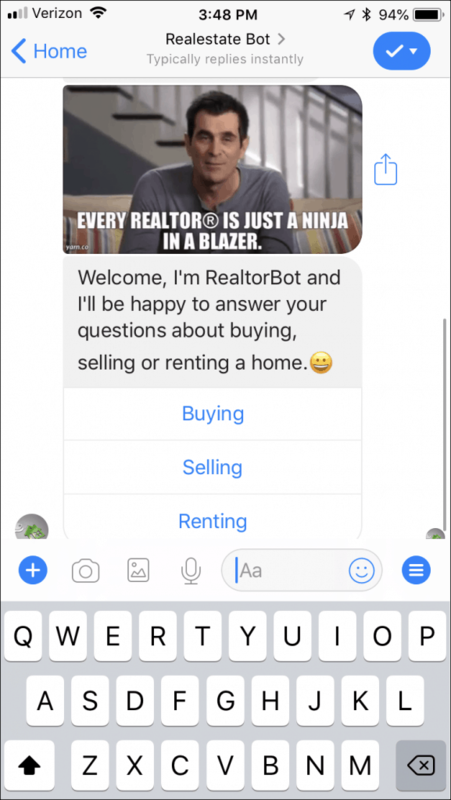 Chris used the MobileMonkey Messenger bot template for real estate professionals. Test out the real estate chatbot for yourself here. 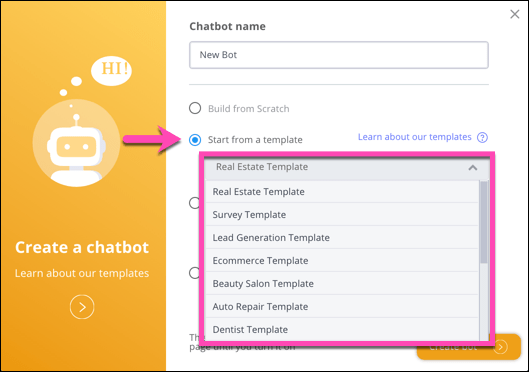 A real estate chatbot can takeover some of the repetitive task load and free you and your team up for important high-touch activities with clients. Chatbots are on the clock 24/7 and don’t cost much to maintain and operate once they’re set up. Real estate businesses have a never-ending need to fill the funnel with qualified leads. 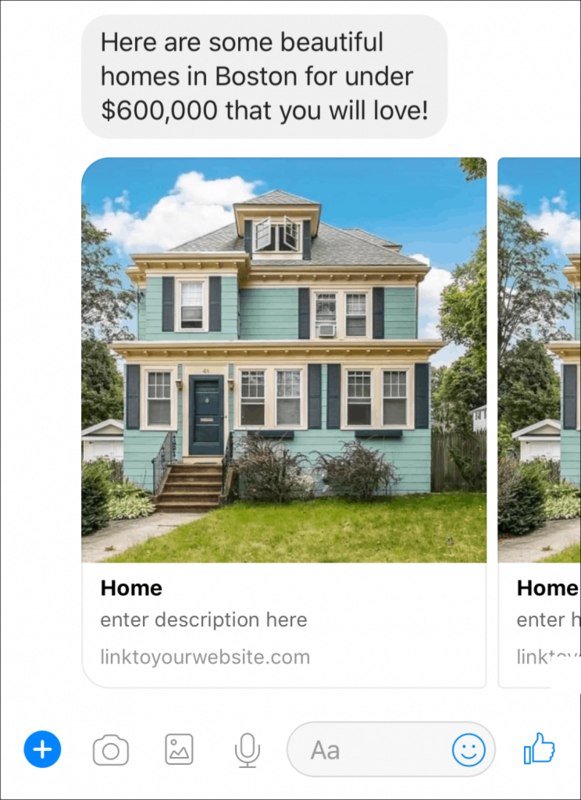 Today, I’m going to show real estate agents and brokers how to drive qualified buyers and sellers to your doorstep using the real estate Facebook Messenger bot template from MobileMonkey. 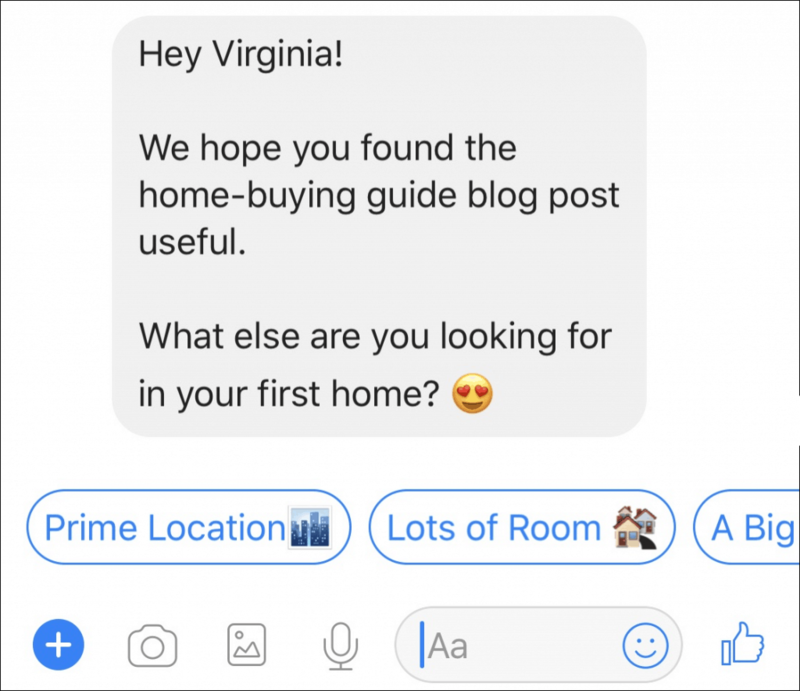 When you’ve got these steps in place, your real estate chatbot will turn prospects from window shoppers to homeowners to evangelists for your business. Before anything, you’ll need a Facebook business page for your real estate business. And you’ll need to be a page admin of that Facebook page. Step 1: Sign up for a free MobileMonkey account. Log in with your Facebook credentials. Welcome page: Put in anything or placeholder text. This is going to be wiped out when you add the template. Set how your bot will respond to unrecognized questions: Send a default message, but customize this for your business and brand. This is also a good place to tell someone what keyword to say if they want to send you a message or talk to a human. Welcome message blast: Skip straight to the dashboard on this one. More on sending blasts later. With an account created, click the “Connect Facebook Pages” button. You’ll see a list of all the Facebook pages that you administer. Check the box next to the pages that you want to connect. When you are done click the “Connect Facebook Pages” button. This will add those pages to your dashboard and you can start creating bots. Name your chatbot so you can identify it in case you have multiple bots and pages. And pick “Start from a template” and choose the Real Estate Template, naturally. Click the button to “Create Bot” to finish. 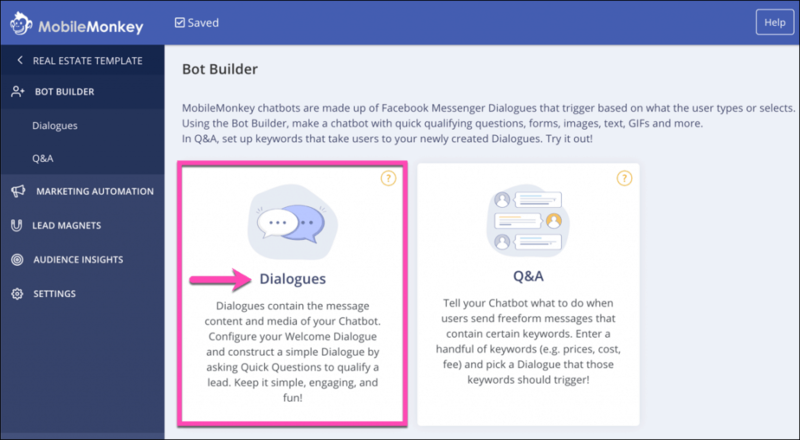 You can also edit the entire chatbot from start to finish, adding your own spin based on how you structure qualification questions and funnels. Once the chatbot is ready to go, it’s ready to process incoming leads. But chatbots give you the chance to expand your reach with online lead generation with a number of built-in lead magnets in MobileMonkey. First, a quick explanation of how lead gen in Messenger works. 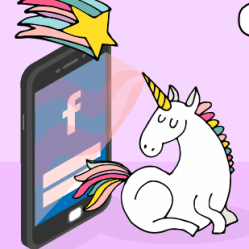 Whenever someone messages your Facebook page, they become a contact in your MobileMonkey database. Every contact in MobileMonkey is a potential lead. You can create audience segments of your contacts based on who they are and what they’re looking for. If they’re in the market to buy or rent, you can send them info about new listings. 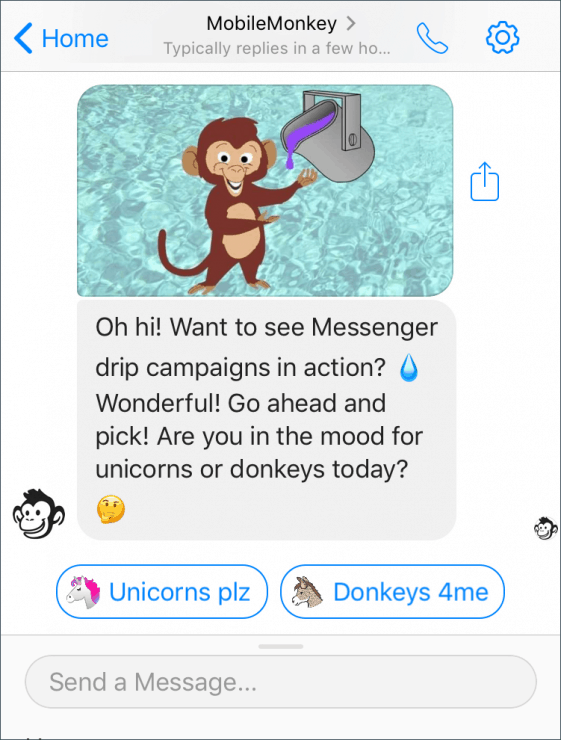 Read all about MobileMonkey lead magnets and lead gen strategies to open the faucet of leads feeding into your bot funnels. One of the big perks of chatbots is that conversations are interactive and more engaging than other lead gen tools like web forms. It’s easy to click away from a web page or decide not to submit info. But a chatbot collects info as part of a conversation, making it much less likely to be abandoned by prospects. Another major advantage: Facebook Messenger already knows a lot of the key contact info you want to ask of folks. People have already given this critical contact data to Facebook, so it’s as easy as a click to extract it in Messenger. If you create a chatbot form and require an email or phone number validation, your prospect can submit these fields with one click. 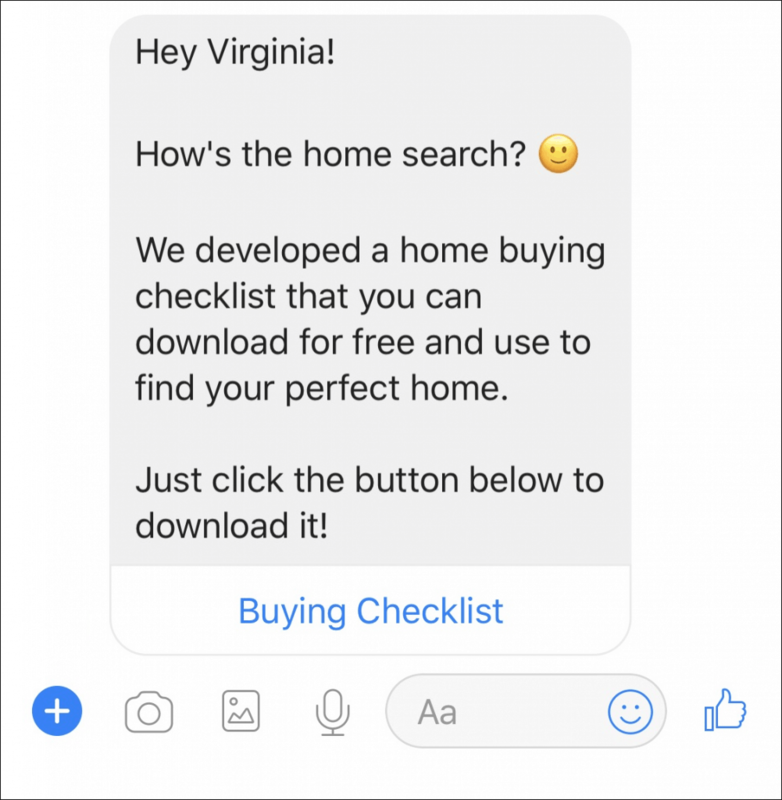 See how easy it is for potential sellers to give you their property and contact info by testing out a chatbot form here. Forms are a MobileMonkey Pro feature. In constantly changing businesses like real estate, it’s all too common for prospective buyers to have countless questions about your listings. And the best way to address those questions without jamming up your staff on live-chat all day is to send folks to your bot if they have questions. The solution here is setting up Q&A triggers. You’ll assign keywords to different dialogues. We’ve got a couple Q&A triggers already set up in the template. 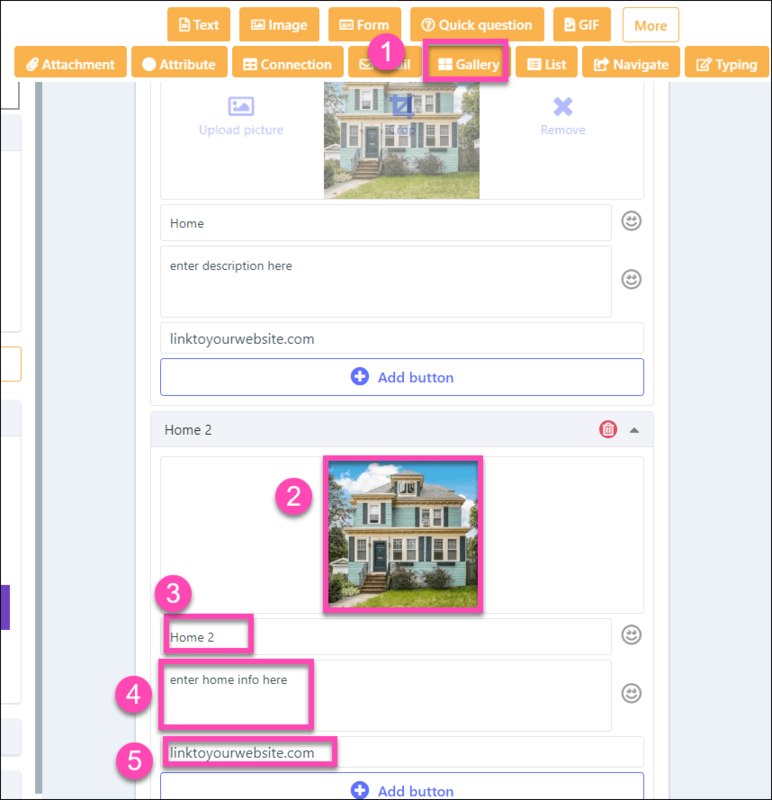 Give it a try with the real estate sample bot. Type “menu” and you’ll be sent back to the main menu. Type “human” and you’ll be served the general contact form. You might create some new dialogues in your bot answering questions about agents, or common questions about neighborhoods, school districts, and other questions you hear a lot. 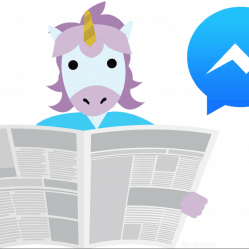 Check out How to Answer FAQs in Messenger in 3 Steps Using MobileMonkey. It’s a fact that nearly half of people prefer chat as the method for contacting a business over any other. You can see how Messenger chat on a website looks on the bottom right corner of the page you’re reading! Using MobileMonkey, you can embed Facebook Messenger on your website in seconds. See the quick-start guide to embedding a Messenger customer chat widget on your site. Do you have an online calendar you share with people to schedule appointments with you? Appointment calendar services like Calendly, SimplyBook.me, and Bookeo are popular and easy to use. You can link to your calendar booking link from your bot in a new dialogue you create in your bot. In the bot builder, add a new dialogue to the Default folder called Appointment Scheduling. Add the link to your appointment booking calendar in a text widget in this dialogue. Tap “Schedule Showing” in any of the property listing showcase pages and you’ll experience one appointment scheduling experience. The gallery widget is perfect for displaying properties with descriptions, and links to those properties on your website! Link back to the full property page on your website! At this point you’ll need to start getting notifications when your bot has received leads and contacts that need your attention. 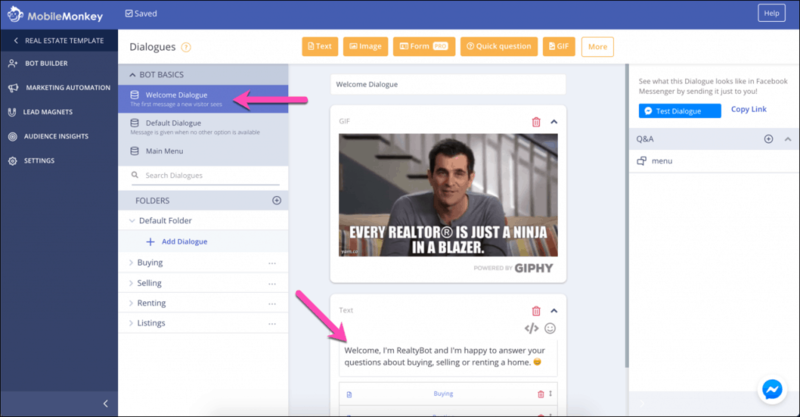 Add the email widget to your chatbot workflow to alert you of the conversation that occurred with the lead’s contact info collected by the bot. Add the email widget to the dialogue following a form. Make sure the email you want is set up as the recipient. Give the email a subject line you’ll recognize in your inbox. Create your email text, using attributes (those fields with the curly bracket above) to send the prospects data in the email. Email alerts are a MobileMonkey Pro feature. There might be a time when you want to take over for the chatbot. Maybe you got an email alert (see Step 8 above) that a hot lead was on the line. Maybe you’re following the conversation via notifications popping up through your mobile Messenger app. Fantastic! When you start typing, the bot will turn off. This is a feature called live chat takeover. Your bot will turn itself back on after 10 minutes of inactivity in the conversation. To turn your bot back on manually at any time, simply input “\return” into the conversation. Collecting leads is just the first part in a long process of converting sales. 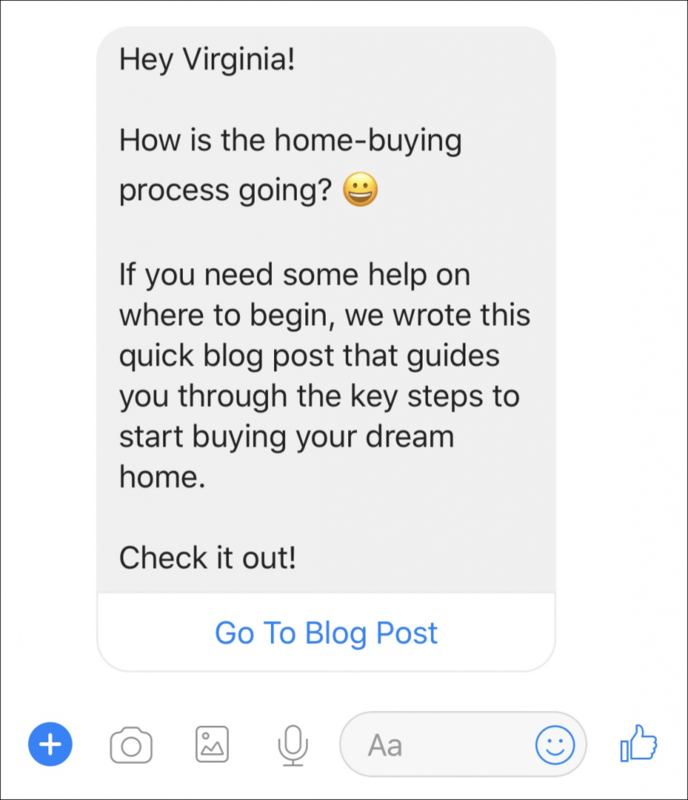 The real estate chatbot is perfect for activating leads into homeowners or sellers. First-time homebuyers often don’t know what they want. Investors looking for property take weeks to close deals. Apartment hunters are looking for the best bargains and researching locations to live that fit their lifestyle. Thankfully, nurturing chatbot drip campaigns exist and they are very easy to develop. Here’s a simple drip campaign to demonstrate; click here to give this drip campaign chatbot a spin! These drip campaigns will help you reach all of your audience segments with content that resonates to them. For instance, you can run a drip campaign to first-time homebuyers educating them each step of the buying process from getting pre-approved to making and offer. Here is an example drip campaign you could run for this audience. Drip 2: Check-in with your first-time buyers and ask them more qualifying questions, like how big they want their house to be, bedrooms, bathrooms, etc. After this step, if they download your checklist, you can start to work on closing the sale. Drip 4: Ask them if they are available for a quick 15-minute phone call to discuss properties you found that look great for them. Drip 5: Ask if they want to schedule a meeting with you in person to make an offer. 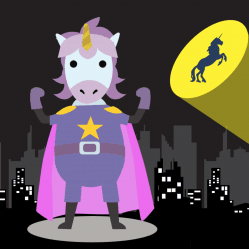 If you have already ran drip campaigns for email marketing, you can simply repurpose those campaign ideas for your next chatbot drip campaign. You can put your lead generation strategy on maintenance ode and continually engage users as they move from prospective buyers to loyal customers with your real estate business. 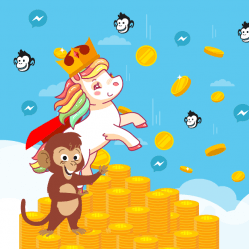 Read our full guide here on how to develop a drip campaign on MobileMonkey. We’ll walk you through it from start to finish! Drip campaigns are a MobileMonkey Pro feature. 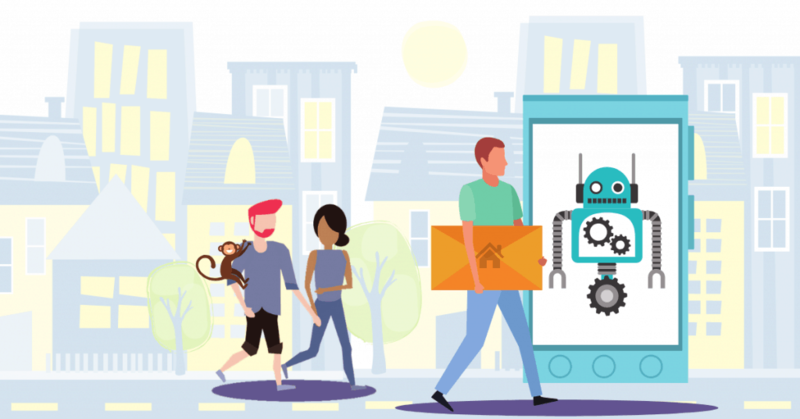 Now that you’ve seen how chatbots can benefit your real estate business, here are some key next steps to take. Join the MobileMonkey Island private Facebook group and the 15,000 members of the chatbot marketing mastermind.